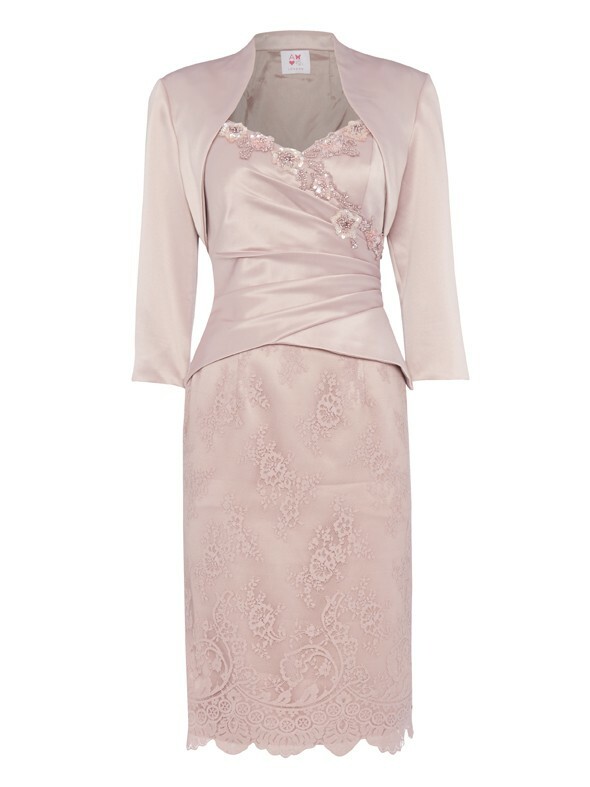 This flattering dress with ruched bodice detail and elegant lace skirt, both fully lined. Jewel beading on the bodice enhances a very elegant look, with a concealed side zipper. A Special occasion wear classic. The ruched bodice is very flattering on all shapes, team up with an elegant court shoe and and simple jewellery to complete the look.